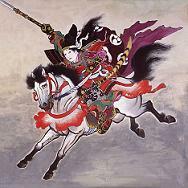 "Way of the Warrior," developed in Japan between the Heian and Tokugawa Ages (9th-12th century). It was a code and way of life for Samurai. 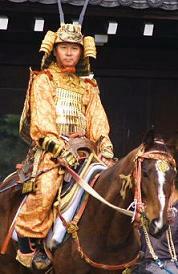 The Samurai were a class of warriors similar to the medieval knights of Europe. It was influenced by Zen and Confucianism, two different schools of thought of those periods. 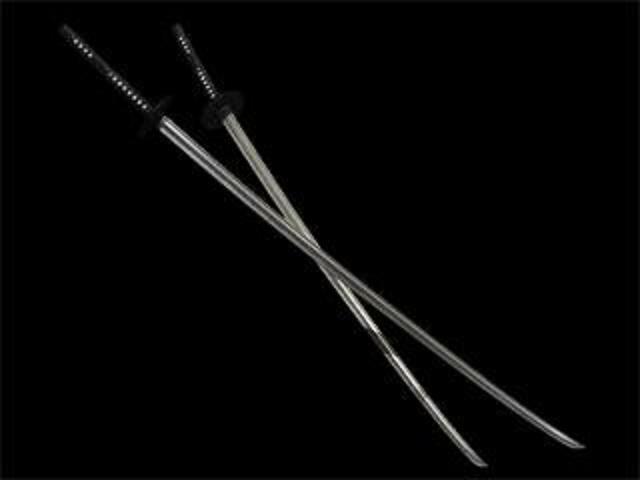 Bushido is not unlike the chivalry and codes of the European knights. "It puts emphasis on loyalty, self sacrifice, justice, sense of shame, refined manners, purity, modesty, frugality, martial spirit, honor and affection"
Bushido comes out of Buddhism, Zen, Confucianism, and Shintoism. The combination of these schools of thought and religions has formed the code of warrior values known as Bushido. From Buddhism, Bushido gets its relationship to danger and death. The samurai do not fear death because they believe as Buddhism teaches, after death one will be reincarnated and may live another life here on earth. The samurai are warriors from the time they become samurai until their death; they have no fear of danger. Through Zen, a school of Buddhism one can reach the ultimate "Absolute." Zen meditation teaches one to focus and reach a level of thought words cannot describe. Zen teaches one to "know thyself" and do not to limit yourself. Samurai used this as a tool to drive out fear, unsteadiness and ultimately mistakes. These things could get him killed. Shintoism, another Japanese doctrine, gives Bushido its loyalty and patriotism. 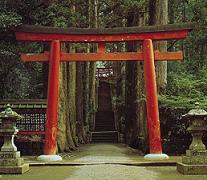 Shintoism includes ancestor-worship which makes the Imperial family the fountain-head of the whole nation. It awards the emperor a god-like reverence. He is the embodiment of Heaven on earth. With such loyalty, the samurai pledge themselves to the emperor and their daimyo or feudal landlords, higher ranking samurai. 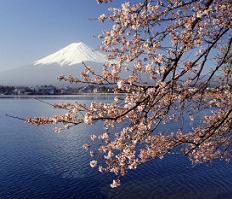 Shintoism also provides the backbone for patriotism to their country, Japan. They believe the land is not merely there for their needs, "it is the sacred abode to the gods, the spirits of their forefathers . . ." (Nitobe, 14). The land is cared for, protected and nurtured through an intense patriotism. Confucianism gives Bushido its beliefs in relationships with the human world, their environment and family. Confucianism's stress on the five moral relations between master and servant, father and son, husband and wife, older and younger brother, and friend and friend, are what the samurai follow. However, the samurai disagreed strongly with many of the writings of Confucius. They believed that man should not sit and read books all day, nor shall he write poems all day, for an intellectual specialist was considered to be a machine. Instead, Bushido believes man and the universe were made to be alike in both the spirit and ethics. Along with these virtues, Bushido also holds justice, benevolence, love, sincerity, honesty, and self-control in utmost respect. Justice is one of the main factors in the code of the samurai. Crooked ways and unjust actions are thought to be lowly and inhumane. Love and benevolence were supreme virtues and princely acts. Samurai followed a specific etiquette in every day life as well as in war. Sincerity and honesty were as valued as their lives. Bushi no ichi-gon, or "the word of a samurai," transcends a pact of complete faithfulness and trust. With such pacts there was no need for a written pledge; it was thought beneath one's dignity. The samurai also needed self-control and stoicism to be fully honored. He showed no sign of pain or joy. He endured all within--no groans, no crying. He held a calmness of behavior and composure of the mind neither of which should be bothered by passion of any kind. He was a true and complete warrior. These factors which make up Bushido were few and simple. Though simple, Bushido created a way of life that was to nourish a nation through its most troubling times, through civil wars, despair and uncertainty. "The wholesome unsophisticated nature of our warrior ancestors derived ample food for their spirit from a sheaf of commonplace and fragmentary teachings, gleaned as it were on the highways and byways of ancient thought, and, stimulated by the demands of the age formed from these gleanings a new and unique way of life" (Nitobe, 20). Bushidō was widely practiced, varying little over time, and across the geographic and socio-economic backgrounds of the samurai, who at one time represented up to 10% of the Japanese population.The first Meiji era census at the end of the 19th century counted 1,282,000 members of the "high samurai", allowed to ride a horse, and 492,000 members of the "low samurai", allowed to wear two swords but not to ride a horse, in a country of about 25 million. Other parts of the bushidō philosophy cover methods of raising children, appearance, and grooming, but all this may be seen as part of one's constant preparation for death—to die a good death with one's honor intact, the ultimate aim in a life lived according to bushidō. Indeed, a "good death" is its own reward, and by no means assurance of "future rewards" in the afterlife. Notable samurai have throughout history held such aims or beliefs in disdain, or expressed the awareness that their station—as it involves killing—precludes such reward, especially in Buddhism. On the contrary, the soul of a noble warrior suffering in hell or as a lingering spirit is a common motif in Japanese art and literature. Bushidō, then—while exhibiting the influence of Dao through Zen Buddhism--is a philosophy in contradistinction to religious belief, with a deep commitment to propriety in this world for propriety's sake. A man invested with the power to command and the power to kill was expected to demonstrate equally extraordinary powers of benevolence and mercy: Love, magnanimity, affection for others, sympathy and pity, are traits of Benevolence, the highest attribute of the human soul. Both Confucius and Mencius often said the highest requirement of a ruler of men is Benevolence. 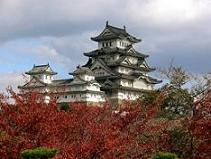 Discerning the difference between obsequiousness and politeness can be difficult for casual visitors to Japan, but for a true man, courtesy is rooted in benevolence: Courtesy and good manners have been noticed by every foreign tourist as distinctive Japanese traits. But Politeness should be the expression of a benevolent regard for the feelings of others; it’s a poor virtue if it’s motivated only by a fear of offending good taste. In its highest form Politeness approaches love. True samurai, according to author Nitobe, disdained money, believing that “men must grudge money, for riches hinder wisdom.” Thus children of high-ranking samurai were raised to believe that talking about money showed poor taste, and that ignorance of the value of different coins showed good breeding: Bushido encouraged thrift, not for economical reasons so much as for the exercise of abstinence. Luxury was thought the greatest menace to manhood, and severe simplicity was required of the warrior class … the counting machine and abacus were abhorred. Economic reality has dealt a blow to organizational loyalty around the world. Nonetheless, true men remain loyal to those to whom they are indebted: Loyalty to a superior was the most distinctive virtue of the feudal era. Personal fidelity exists among all sorts of men: a gang of pickpockets swears allegiance to its leader. But only in the code of chivalrous Honor does Loyalty assume paramount importance. These are the seven principles underlying the spirit of Bushido, Bu-martial arts; shi-warrior; do the way. The way of the samurai is imperative and absolute. Practice, in the body, through the unconscious, is fundamental to it, thus the enormous importance attached to the learning of right action or behavior.